Hi guys, I currently I could get a free mobile either this mobile or blackberry bold. Could anyone advise which one is better? Is this mobile also have a push email function? For all to note that the above feild that states call history: practically unlimited" is incorrect. The maximum number of calls that the PDA will store is 80 calls of which each number if there is a history will show incoming, outgoing and missed calls. On another point the backlight remains on while you are on an actual phone call. This as you can imagine does not give you the privacy to talk while someone might know who you are takling with. A flaw that is to be corrected by Palm Inc. 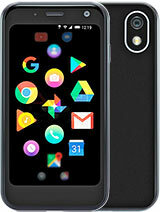 I have alway own a palm and find it to be one of the best phone i have ever used,but they need to compete with the other phone makes becausethey are logging behindI own a 680 and lookng to get a new phone which is going to be a palm. angry consumer, 28 Dec 2008This phone is absolutely crap. been getting glitches on it ever since I'd purchased the darn t... moreYou should not generalise so much. If you think the Palm's battery is crap try an HTC and then comment. I think the Palm has a decent battery life. I have owned many win mo phones inc touch pro and touch diamond and ive had this palm for a few weeks now. It has given me no problems except for ring silencing issues which im hoping palm will sort out soon. Other than that I highly recommend the phone if you need a great business tool. It has been a while since i read so many positive comments about palm..Palm will be the only phone in my life..
i had it for a while and had to give it up. i work in an area with weak signal, only few phones that have good reception worked like "suprisingly" E66 and Treo Pro. i had this phone for 2 months,great phone,except for the buzzing sound everytime you use the headphone(came from the box) for calling.called palm,sent me a new unit today,same thing.buzzing sound on headphone while calling.any treo pro owner have the same problem? does it comes with a palm os??? i've used a lot of smartphones but the palm treo 680 is still the best even with a very bad battery life!!! Anonymous, 03 Dec 2008Does the Palm Treo Pro have a SIM slot for, lets say, T-mobile users?Of course it has - it is a GSM phone, so it will work with any sim card. Does the Palm Treo Pro have a SIM slot for, lets say, T-mobile users? Hi, I'm from Indonesia and I just wanna ask about the sms. Does Treo Pro has sms chat like Treo 680 or not? 'couse I'm heavy texter. Any reply would be appreciate.